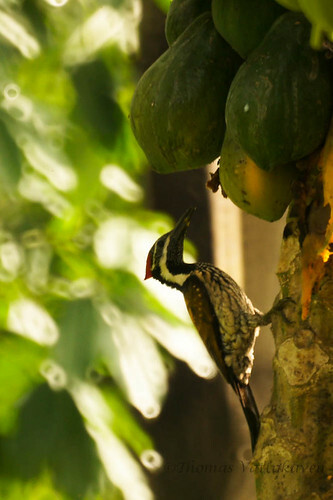 Nature Magnified: Do Woodpeckers Eat Fruit? 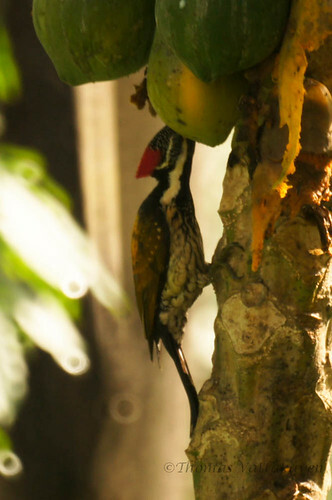 In my last post I explained why woodpeckers are so good at pecking wood. They have several evolutionary adaptations that prepare them for this specialised job. 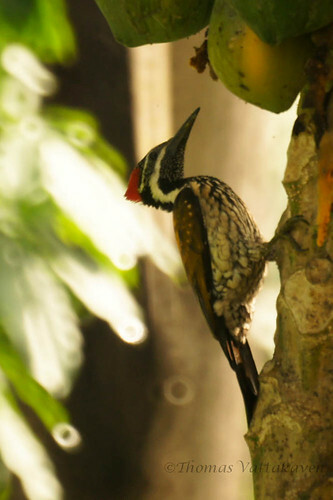 Does this mean that woodpeckers limit themselves to pecking wood and live of a strict diet, eating larvae and insects? It appears that this is clearly not the case. Here are some images which show that they do not mind having fruit for dessert! 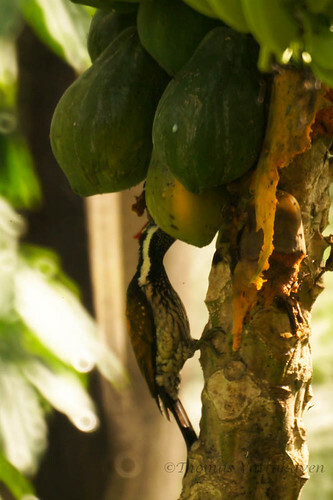 This Black-rumped Flameback was seen happily gorging itself on the ripe fruit of this papaya tree. In spite of woodpecking being their standard way of foraging for food woodpeckers also take nuts, seeds, berries, sap, plant material and crop plants, some are also good at catching flying insects.